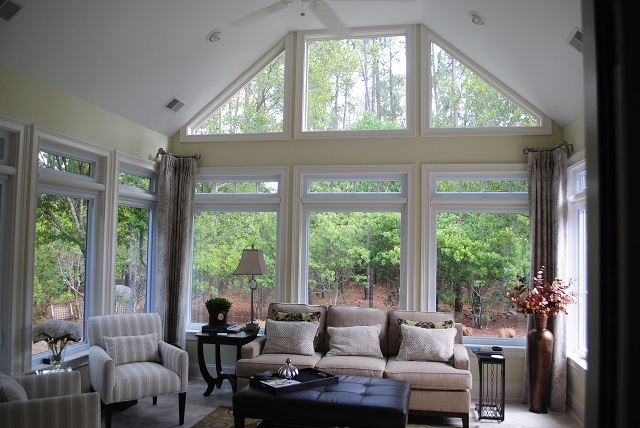 One of our most recent sunroom projects is located in Lexington, SC. What makes this addition so interesting is the fact Archadeck of Central SC converted this homeowners’ existing screened porch into a sunroom to better fit their needs. Since the homeowners have small children, they really wanted to extend the space within the home for play. A sunroom can serve many purposes. In this instance, the new sunroom makes the perfect place for creative play with the abundant natural light and view into the outdoors. Natural light is always an asset in any home. The more sun you have entering a space, the more open and inviting the space will appear. When you have the sun working for you full time, it cuts down on daytime heating costs, too. However, the more daylight you have in the home, the more you risk overexposing furnishings and interior finishes to the sun. Solar gain, heat loss and UV infiltration are issues we wanted to keep at a minimum as part of this project. 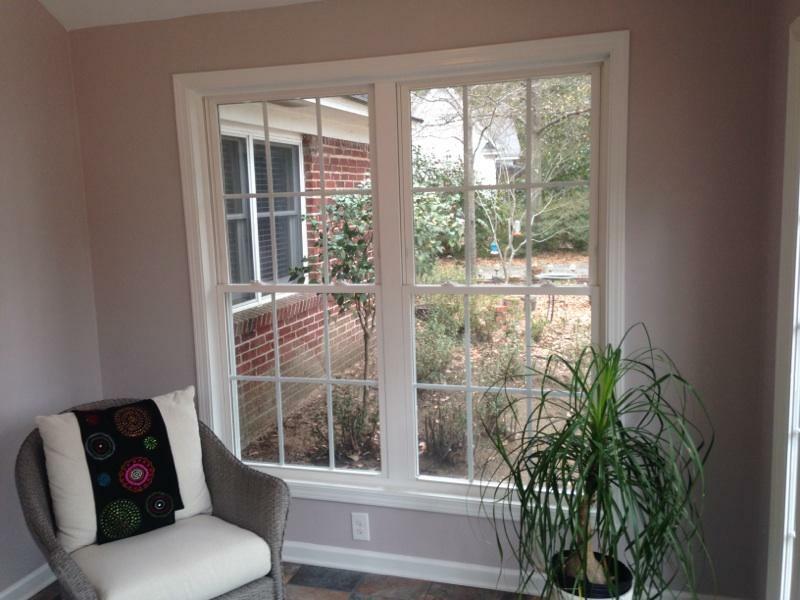 For this gable roof sunroom, Archadeck of Central SC installed low-E windows. Low-E windows (low-E stands for low emissivity) are simply windowpanes coated in microscopic layers of metallic oxides. The coating is invisible to the naked eye, allowing as much natural light into the house as possible. Though transparent, this coating will protect your home from unwanted UV rays that can burn your skin, fade your carpets and damage your furniture. Plus, it also helps to control radiant heat (infrared light) as it enters and leaves a room. In essence, it keeps your house warmer in the winter by reflecting certain segments of the sun’s light spectrum back into the home and cooler in the summer by reflecting particular segments outside. This saves money on utility expenses while creating a more comfortable living environment inside. We used the ceiling that was original to the existing screened porch. However, one special feature of this sunroom is the creative design used on the floor. The homeowners chose ceramic tile and we had it installed in a unique elongated pattern rather than a traditional square or rectangle — the result is quite striking! The clients are elated with the new sunroom, and their children love it even more! Many happy memories are ahead in the new room — imaginative play and creativity as growing minds explore the changing seasons from their new playroom! Our custom sunroom designs are meant to be extensions, not additions. Our ultimate goal is to develop a sunroom that blends seamlessly into the existing architecture of your home and your lifestyle. Contact us today to learn more at (803) 603 – 2160, or email us at centralsc@archadeck.net. This entry was posted in Custom Outdoor Living Designer & Builder, Outdoor Rooms, Porch to outdoor room conversions, Sunrooms and tagged Archadeck of Central SC, Archadeck of Central South Carolina, Central SC sunroom builder, Columbia SC four season room builder, Columbia SC outdoor rooms, Columbia SC Sunroom Builder, Lexington SC Sunroom Builder, Sunroom Builders Near Me on October 31, 2017 by archadeckofcentralsc. NE Columbia, SC, sunroom addition by Archadeck of Central SC. Hiring contractors can be a frustrating experience and vice-versa, sometimes being a contractor can be just as frustrating – for the same reasons. The bad contractors often ruin it for everyone. Bad contractors leave a bad taste and often shoddy work in their trail making homeowners leery of engaging a contractor to do business at their home. As a reputable contractor doing business in the Columbia area for over 13 years, we often meet homeowners that have expectations of sub-par value and communication that is even worse. One obstacle we must overcome when meeting with prospective customers is convincing them to trust in our ability to make a new outdoor living addition look and flow as if it was original to their home. Our attention to detail is impeccable! Designing and building an outdoor space that appears original to your home is one of Archadeck’s areas of expertise. Along with providing you a structure built with only the best materials and craftsmanship, our goal is also to ensure your new addition appears and functions as if it was always part of your existing home, not an add-on without consideration of traffic flows or matching existing materials. We make every effort to ensure a unified presentation from the ground up — and this often means overcoming obstacles along the way. Such is the case with our recent sunroom addition in NE Columbia. As you can see from the pictures, the custom sunroom addition sits between two primary parts of the existing home. Our goal was to make the new area blend in from a structural, aesthetic and traffic standpoint. This required complicated roof tie-ins along with identifying and locating matching materials to mimic the charm of the existing home. Our team worked diligently in duplicating the style and color of brick used in the original home’s foundation as well as matching the sunroom exterior with the home’s existing Hardieplank siding. As an added bonus we even designed the foundation to include valuable storage space. This project was a labor of love as we realize the importance of maintaining a home’s originality in all our outdoor living space designs. The finished project is like a dream come true for the homeowners. The new outdoor room fits all their needs and allows the effortless flow from sunroom to home and into their backyard. If you are interested in enhancing the beauty and versatility at your home, whether old, new or in-between, contact Archadeck of Central SC today to discover how our custom, one-of-a-kind outdoor living space designs can add value and beauty to your home and backyard. 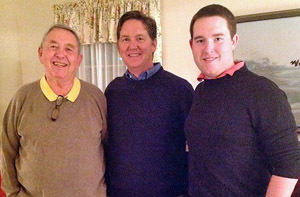 You can reach us at (803) 603–2160. You can also email us at centralsc@archadeck.net. This entry was posted in Aluminum and vinyl four season rooms and sunrooms, Attention to Details, Custom Outdoor Living Designer & Builder, Customized Design, Outdoor living space design and building, Outdoor Rooms, Sunrooms and tagged Archadeck of Central SC, Archadeck of Central South Carolina, Central SC outdoor rooms, Columbia SC outdoor rooms, Columbia SC Sunroom Builder, Hardieplank siding, Lexington SC Sunroom Builder, NE Columbia SC sunroom addition by Archadeck of Central SC., NE Columbia SC Sunroom Builders, NE Columbia Sunroom Builder on September 2, 2016 by archadeckofcentralsc. This sunroom sitting area functions as a secondary living room for this family. A Sunroom, also referred to as a four-season room, can be a very beneficial addition to your home. Not only do sunrooms provide amazing views to the outdoors in any season, they also add valuable conditioned living space to the interior of the home. Sunrooms can serve a multitude of functions. Due to the nature of their design, sunrooms also allow more natural light into the home than a traditional interior room addition. What we often hear from our customers is that “we use our sunroom more than any other room in the house“. Archadeck of Central SC believes this is because the homeowner(s) have a need that their house doesn’t meet, and a specially designed sunroom addition fulfills that need (whether it is for sewing, reading, or a multitude of functions). What differentiates sunrooms from other kinds of structures are the many windows, rather than screens, that immediately satisfy the conflicting desires for nature and comfort. It’s a place to enjoy your morning coffee and newspaper with a lovely view of your garden or landscape, a protected area for children and pets to enjoy the sun, the perfect place for a midday luncheon or afternoon book club meeting and a great place to unwind after a long, hard day of work. A sunroom allows you to enjoy being outside without worrying about heat, cold, rain, harmful UV rays, pollen or insects — especially those dangerous mosquitoes! You can relax while you take in the view of your beautiful surroundings from the comfort of an enclosed room no matter what elements are thrown your way. Archadeck of Central South Carolina can custom design and build a sunroom for you and your family that will protect you from the ravages of weather and Mother Nature while benefitting you in so many other ways. According to an article published in Reader’s Digest, “A sunroom can provide you with an oasis in your home and help you lower your heating bill. But there’s a lot to consider if you want to create one for yourself.” Having the benefit of an experienced sunroom contractor, such as Archadeck, can ensure that you get a quality sunroom to fit your home, your lifestyle and your budget. Our sunrooms are designed to be enjoyed year-round. With this in mind, Archadeck of Central SC can help decide optimal placement for your room — the first critical step when planning a sunroom addition. In northern climes, a southern exposure is best because it will receive the most light each day. Here in the South, however, a southern exposure means additional cooling may be necessary. An eastern exposure will ease cooling needs by providing sun in the morning and shade the rest of the day — whereas a western orientation will give you afternoon sun that might require shading through window treatments. A northern exposure will provide lower levels of light and partial shade most of the day and may eliminate the need for window treatments or additional cooling. Understand right from the start that sunrooms are designed for year-round use and may increase your heating costs, even with a south-facing orientation. You also need to understand that good sunroom design isn’t just about staying warm in winter, either. It’s also about keeping cool during summer months. If you’re looking for comfort, remember that it’s technically easier to heat during the winter than it is to cool during the summer. Archadeck of Central South Carolina realizes the intrinsic value of your home and its outdoor living space. As the premier outdoor living space builder for the central South Carolina area, we deliver uncompromising attention to detail with a high level of quality and craftsmanship for every structure we build. If you are ready to enjoy the endless benefits of a sunroom, contact Archadeck of Central South Carolina today. We can explore the options of making your home and landscape a prime destination for relaxation, fun and family times. You can reach us at (803) 603-2160 or via email at centralsc@archadeck.net. This entry was posted in Outdoor Rooms, Sunrooms and tagged Archadeck of Central South Carolina, Central SC combination outdoor living spaces, Central SC deck and porch outdoor living combinations, Central SC outdoor rooms, Chapin SC sunroom builder, Columbia Outdoor Living Structure Builder, Columbia SC outdoor rooms, Columbia SC Sunroom Builder, Custom Outdoor Living Designer & Builder, How To Build A Successful Sunroom, Lexington SC Sunroom Builder, Making your Columbia SC dream backyard a reality, NE Columbia Sunroom Builder, Outdoor Rooms, Reader's Digest, Sunrooms and tagged Archadeck of Central SC on April 28, 2016 by archadeckofcentralsc. What do you do when you and your family want to enjoy the benefits of the outdoors without the negativity that accompanies it — when simply a deck or open-air structure won’t fit the bill? Archadeck of Central SC has the perfect answer: a custom sunroom. A sunroom allows you to enjoy being outside without worrying about heat, cold, rain, harmful UV rays, pollen or insects. You can relax while you take in the view of your beautiful surroundings from the comfort of an enclosed room no matter what the elements throw your way. Archadeck of Central South Carolina can custom design and build a sunroom for you and your family that will protect you from the ravages of spring and Mother Nature while benefitting you in so many other ways. As you can see from this list, the benefits of adding a sunroom can be measured in dollars as well as peace of mind and comfort. A sunroom custom-designed and built for you by our professional team will give you a place to enjoy plenty of natural light, the beauty of the great outdoors and the remedy to seasonal allergens, bug bites and much more — without ever leaving the comfort of your own home. Now imagine if your new sunroom was part of an outdoor living space combination that included a deck too! 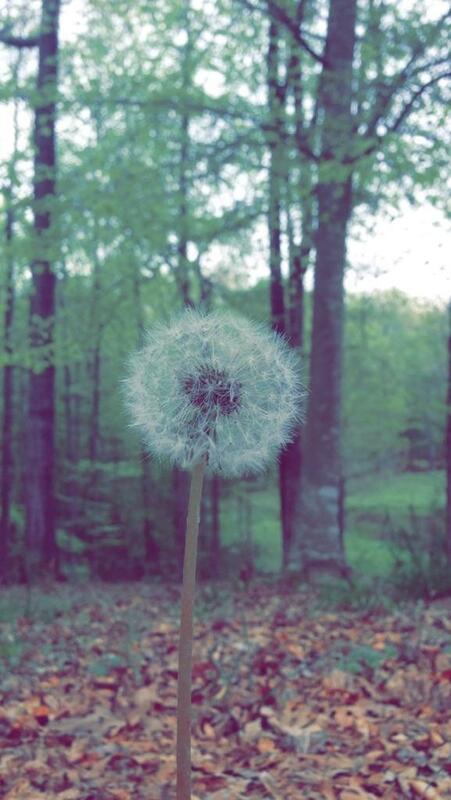 Perhaps you have family members or friends who do not suffer from seasonal allergies, sun sensitivity or bug allergies and can be in the great outdoors without harmful repercussions. With a sunroom and deck combination you can host events and family gatherings everyone can enjoy together, without missing any of the fun…some in the protected space of the sunroom and others on the open space of the deck. 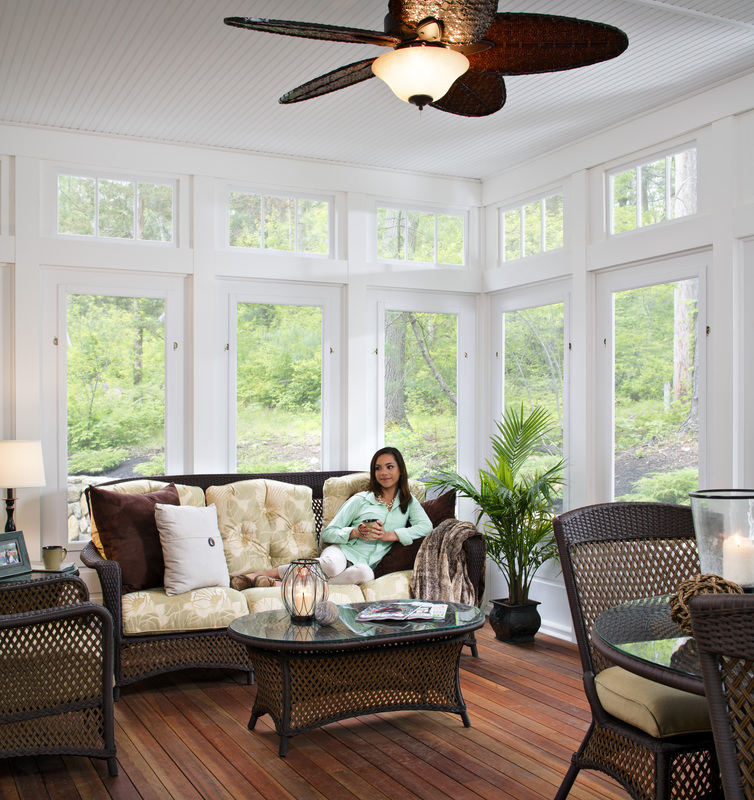 No pollen, mosquitoes or rainy weather will keep you from enjoying the outdoors with a sunroom! No matter which way you go, sunroom alone or sunroom and deck combination, you can’t go wrong with a sunroom addition for your home. As the cornerstone of your life, your home is your place to rest and relax, spend time with the people you love and celebrate your successes. Archadeck of Central South Carolina realizes the intrinsic value of your home and its outdoor living space. As the premier outdoor living space builder for the central South Carolina area, we deliver uncompromising attention to detail with a high level of quality and craftsmanship for every structure we build. If you are ready to create a space with ample protection from the elements that you will enjoy for many years to come, contact Archadeck of Central South Carolina today. We can explore the options of making your home and landscape a prime destination for relaxation, fun and family times. You can reach us at (803) 603-2160 or via email at centralsc@archadeck.net. This entry was posted in Custom Outdoor Living Designer & Builder, Outdoor Rooms, Sunrooms and tagged Archadeck of Central SC, Archadeck of Central South Carolina, Central SC combination outdoor living spaces, Central SC deck and porch outdoor living combinations, Central SC outdoor rooms, Chapin SC sunroom builder, Columbia SC outdoor rooms, Columbia SC Sunroom Builder, Lexington SC Sunroom Builder, Making your Columbia SC dream backyard a reality, NE Columbia Sunroom Builder on April 21, 2015 by archadeckofcentralsc.